Tamil Nadu also referred as “The land of Tamils” is situated in the southernmost part of India. Chennai is the capital and largest city of this state. It is bordered by Karnataka, Kerala and Andhra Pradesh states. It is one of the most literate states of the country. The average literacy rate of this state is 80.33% (as per the census 2011). Tamil Nadu has many reputed management colleges like IIM, IIT, NIT, etc. Students from different state come here to pursue MBA programmes. 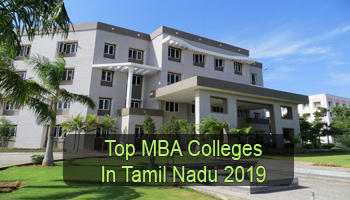 Here we have given the list of Top MBA Colleges in Tamil Nadu 2019. 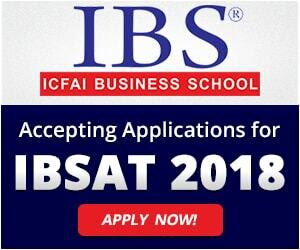 At Sarvgyan.com, we are providing a list of top MBA colleges in Tamil Nadu for the year 2019. Here we have included Indian Institute of Management (IIM), Indian Institute of Technology (IIT), National Institute of Technology (NIT) & other government and private institutions. We have considered various educational factors, for providing rating to this list. Some important factors are affiliation and approval, quality of education, placement records, national importance, college infrastructure and facilities, student’s reviews and faculty ratio. Admission in MBA programme will be provided through entrance exam organized at national and state level. TANCET is a state level examination regulated by the Anna University for providing admission in management courses. Students seeking for admission in IIM have to qualify the CAT examination. Students can also appear in the MAT, CMAT & ATMA exams. Students will be able to choose specializations in the final year of MBA programme. Some popular specializations are Human Resource Management, Marketing, Information Technology, Finance and International Business. 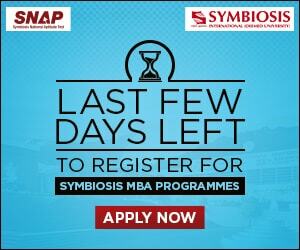 For any other queries about Top MBA Colleges in Tamil Nadu 2019, you may leave your queries in the comment box.